Since 1870 The California Dental Association (CDA) has served as a symbol of excellence in the dental profession. As California's "Trusted Source for Dental Information," the CDA's growing membership of more than 20,000 dentists is dedicated to promoting the total health of California's through oral health advocacy and eduction. 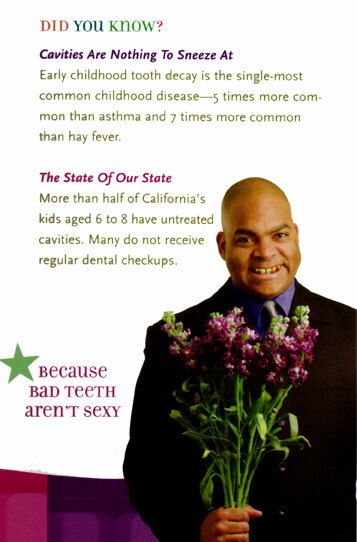 The CDA's, "See your CDA member dentist because..." campaign was developed in special partnership with the California Milk Processor Board - famous for "got milk?" 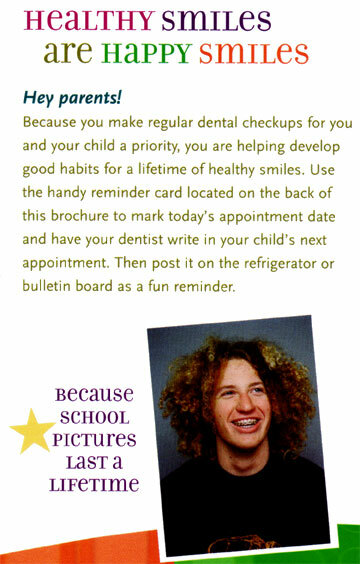 - to encourage regular dental checkups and encourage kids of all ages to drink milk as part of a healthy lifestyle. Although Dr. Datu's main focus is Cosmetic Dentistry, He knows how important it is for your children to be seen by a dentist on a regular basis. We would recommend that you take your child in every six months. We welcome all family members and friends. What About Baby Bottle Tooth Decay? Early Childhood Caries or Baby Bottle Tooth Decay is a disease that causes severe and swift decay of baby teeth. The condition is primarily caused by your baby's bottle sippy cup, but is usually due to the sugary or sweet liquids like milk, formula and fruit juices they typically contain. Help prevent this condition by using a damp washcloth or gauze pad to wipe your baby's mouth clean between feedings. When their first tooth appears, you can switch to a small, soft toothbrush without toothpaste. Proper nutrition, hygiene practices and regular dental visits starting at one year of age is the best way to protect your child's oral health. You know that brushing and flossing at least twice a day is important. And you're committed to regular dental checkups. But did you also know that milk can help you and your child stay cavity-free? That's right! 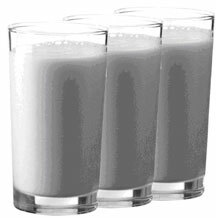 A recent clinical summary reveals that in addition to regular dental care, drinking three glasses of milk a day may prevent cavities. The calcium in milk contains specific proteins that keep cavity-causing bacteria from sticking to the teeth. Plus, with all the other great benefits such as strong bones and great taste, it's an easy way to nourish your child's smile from within.